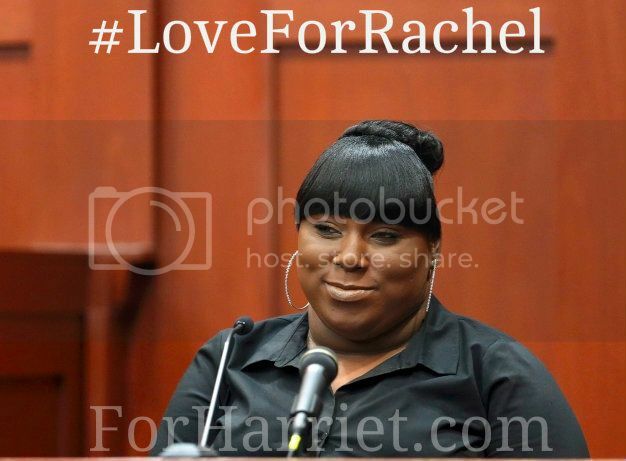 You are doing a very good job of testifying in the Trayvon Martin murder trial. Taking the witness stand to talk about the death of your friend, reliving the last time you heard his voice by answering endless, probing questions in front of strangers, must be unimaginably hard. But you’ve presented yourself with grace and dignity. This is no small feat when the defense attorney is attempting to tarnish your character and the character of your friend who was killed. Your task has been made even harder because the court reporter keeps interrupting you with “I can’t hear you” “What was the last part?” and “Say it again.” That kind of disruption to your testimony can make you less confident about the clarity of your expression. And you are only nineteen years old. Please don’t let the defense attorney or court reporter rattle you. I am proud of how you are conducting yourself and I want to offer these words of encouragement. Courtrooms are tricky places. They are designed so the judge sits high on one side and everyone sits low on the other. Right away the authority of the court is established: You, visitor to this esteemed space, are a small player and you better recognize. The colors of most courtrooms, the furniture and lighting are all conservative and staid. If you didn’t know the expected decorum before you entered, you learn it pretty quickly once you see the court officer with a gun on his hip, notice the dark suits, and hear the hushed tones with which everyone speaks. There will be no slapping of butts like you’re on some ball field, which Chad Johnson recently learned. The judge won’t like if you chew gum either, which I found out as a newbie litigator, forced to spit out my wad in front of a packed courtroom. More importantly, courtrooms are spaces where social and professional stratifications are real clear. It depends on the case and court location, but often those in authoritative roles inside a courtroom come from very specific communities. Class, race, and gender have contextual significance in most litigation. This is not a welcoming space for women like you and me. I was older than you--I was twenty-eight and an attorney--when I had to testify in a murder trial that involved a loved one. Like you, I had been called because phone records indicated that I had spoken to this person right before the fatal incident. Like you, I questioned what I could have done differently during the phone call. In my case, my friend was in a domestic violence situation and she ended up killing her abuser. That’s different from your trial. But I think I understand your situation. Like you, I once felt guilty that I had not prevented what happened. I questioned myself, wondering if I’d listened closely to our conversation. Why hadn’t I understood the danger that confronted my friend? I also felt the weight of double-consciousness as I took the stand. I knew I was black and being perceived as black in a conservative, predominantly white suburb in southeastern Michigan. I knew that my body and demeanor were being used as symbols by both the prosecution and defense, and I suspect, Rachel, that you know this is true for you as well. My mind felt scrambled. There were so many expectations of me in that courtroom and this made it hard to describe my phone conversation in a meaningful way. I wanted to cry, but I fought back tears. I second-guessed my behavior. Was I being too emotional? Too stoic? Could I blurt out what I really felt, in hindsight, about the conversation with my friend? That she was running scared from this dude and that our conversation was unexpected and a bit unusual. There were no clear answers to these questions during the moments when I was sitting there as a live witness. And even though I knew the game, I could only answer the questions that were asked. Which brings me to why I think you’ve done such a great job. I watched your testimony. You came across as honest. It was your tears at the end. Your nervousness before you let the tears fall. Your truthfulness about the language that you and Trayvon used as you talked. You came across as credible despite the shenanigans by defense counsel or the harsh critiques about you that appeared on social media. Forget all those people. You and I both know that we will always look suspicious or ridiculous to some folks. But when we use our voice to tell the truth, we win. When we speak in an unwelcoming space, guess what? It’s a double-win. Thank you for stepping up, Rachel. You represented well.